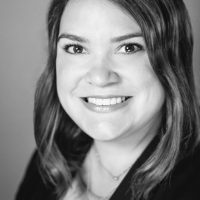 Whitney is a Senior Marketing Specialist for Ochsner Health System. She is a native New Orleanian and enjoys immersing herself in the local culture. With almost a decade of experience in graphic design and marketing, Whitney enjoys expressing her creativity by coming up with new topics and assisting with articles for the To Your Health content hub. In her spare time, she enjoys painting, photography and spending time with her family in City Park.